Videos below are smaller projects and personal projects. 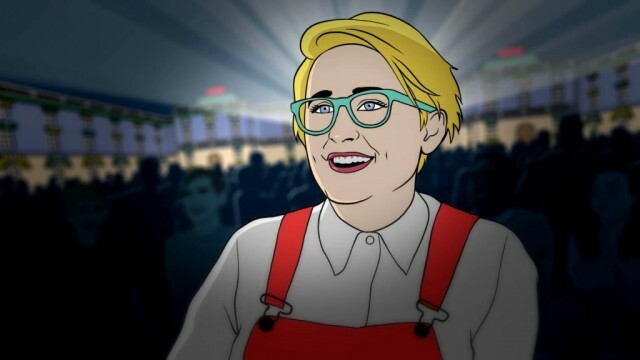 Larger projects include: Adult Swim -"Dream Corp LLC", Richard Linklater's "Waking Life", Lars von Trier's "Five Obstructions", Zero 7 video "Destiny". ​A picnic turns unexpectedly psychedelic for three rogue gents. Screened at the San Francisco International Film Fest, Boston Underground Film Fest, and Cornwall Film Festival among others. ​Animation & story by Jennifer Deutrom. ​Produced by Flat Black Films. Animation software by Bob Sabiston. ​The transhuman citizens of this future society go about their daily life filled with water rationing, constant surveillance, mind-numbing entertainment, data harvesting, and techno addiction. Their quality of life may be steadily deteriorating but they are probably too distracted to notice. Screened at SXSW, San Francisco Film Festival, Brooklyn Animation Block Party, Small & Creepy Festival, Doomsday Festival NY, and others. Animation & story by Jennifer Deutrom. ​Produced by Flat Black Films. Animation software by Bob Sabiston. Rotoscoped animation of audience members' reactions by Jennifer. Everything else by Make Productions. “The Last 40 Miles,” based on a true story, follows an inmate on his final journey from Texas’s death row in Livingston, to the execution chamber in Huntsville. During the ride, his memories, the scenery flashing by, and the unexpected compassion of the guard escorting him, keep him company. 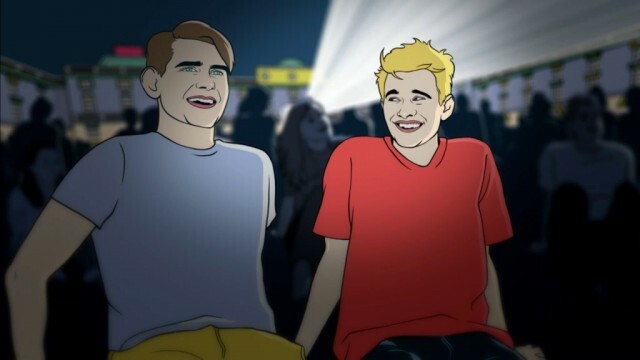 The animated and rotoscoped short film is the brainchild of British journalist Alex Hannaford, who teamed up with animators Jeff Roth and Lucas Dimick and producer/cinematographer Meg Mulloy. Together with Jennifer Deutrom and Flat Black Films, the group began working on The Last 40 Miles in 2012. Scenes of the prisoner and sheriff in van as well as the landscape scenes of the van by Jennifer. The Last 40 Miles has screened at film festivals over the world and won several awards. The Last 40 Miles from Onalaska Films on Vimeo. 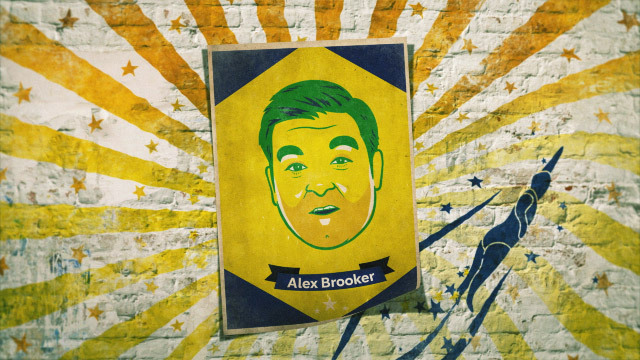 Jennifer was hired to rotoscope the face of "Superhumans Show" host, Alex Brooker (inside of the trading card). All of the motion graphics, concepts, etc are by the wonderful Make Productions. ANIM​ATION for NYTIMES column "Modern Love"
New York Times commissioned Bob Sabiston and I to create an animated piece to illustrate the story "Broken Heart Doctor" from the Modern Love column. It was a challenging animation as it dealt with serious subject matter. Modern Love: Broken Heart Doctor from The New York Times - Video on Vimeo. ANIMATED AD SERIES for Turkish bank AKBANK. Flat Black Films did the animation for this project. For this ad in the series, Jennifer animated some of the backgrounds and the man/landlord. Jennifer animated this spot using Bob Sabiston's animation software. Directed by Paul Dektor. MORE ANIMATION TO BE ADDED SOON.... Please refer to the ABOUT page and see the links for past projects for more animation. Also visit Jennifer's VIMEO page for her personal (more experimental and weirder) animation and videos and collaborations with her musician husband, Mark Deutrom.